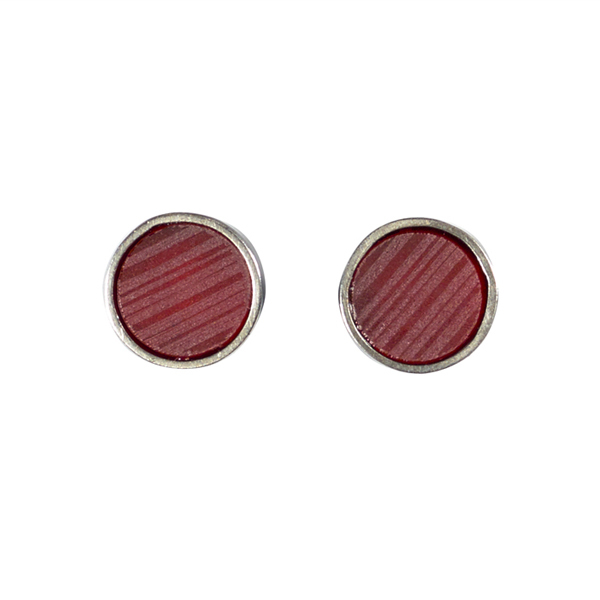 Elegant and simple, these earrings combine scarlet acrylic with silver to create an overall subtle blend of colour, harmony and pattern inspired by the sea. Kathryn Williamson jewellery is inspired by a sense of personal treasure trove- found objects and fragments of pottery from beach walks around the Fife coast, museum artefacts and pattern from collected or inherited ceramics and fabric. These elements inform Kathryn’s choice of balance, pattern and texture when designing her jewellery. Her jewellery is created in her Pittenweem workshop overlooking the Firth of Forth. Elegant and simple, this necklace combines found beach pebble with silver to create an overall subtle blend of colour, harmony and pattern inspired by the sea. Elegant and simple, these earrings combine green-blue acrylic with silver to create an overall subtle blend of colour, harmony and pattern inspired by the sea.